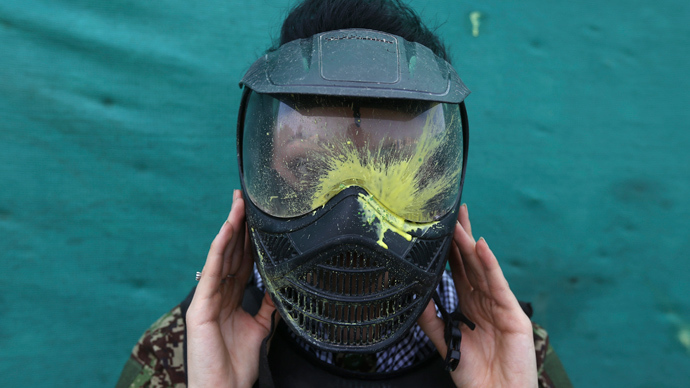 A British company looking to fill a position that requires the lucky candidate to be shot at by a paintball bullet, sometimes without protective gear, has attracted 10,000 applications from around the world. “This incredible response is the last thing we expected when we posted the advert,” said owner Justin Toohig, who said the job pays £40,000 ($60,000, 50,000 euros) a year. The job ad says the successful candidate will occasionally be required to wear limited amounts of clothing while being shot at with paint-filled pellets in order to test the effects of “worst case” scenarios. The ad goes on to warn that, while dedicated professionals shoot the pellets, there is a risk of pain and bruising. Other aspects of the job include being fired at while in the process of running, walking and climbing, sometimes without any protective clothing. Toohig said applicants have listed a variety of personal qualifications they believe make them perfect candidates for the job. “We’ve had individuals hoping to secure the job including an ex-army soldier boasting previous experience of guns and weaponry... and an ex-magician’s assistant who was once almost shot for real in an illusion that went horribly wrong,” Toohig added. Applications have poured in from not just Britain, but as far away as United States, Canada and India, he said.